Enjoy a time of solitude at Camp Northern Lights, or relax with family, friends or a significant other—it’s entirely up to you. 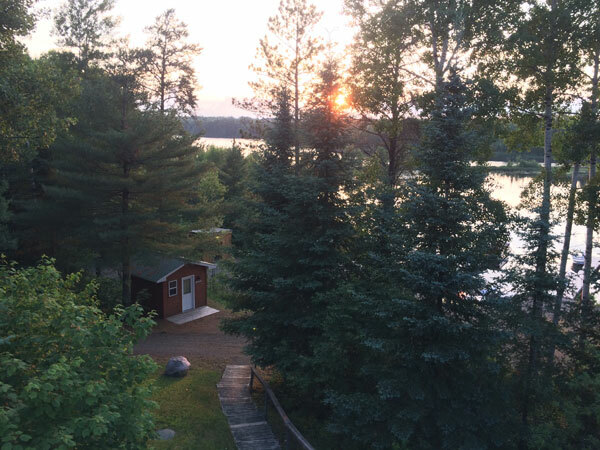 We offer a beautiful natural setting, with plenty to do in the north woods. Enjoy vibrant colors and active wildlife in the fall, bright sun and fresh snow in the winter, and colorful buds in the spring. Cabins are available to reserve for personal or group use during fall, winter and spring. Bungalows can be reserved in late spring and early fall. Tent sites can be reserved in late May and early September. Canoes, kayaks, and rowboats are available for paddling in the fall and spring. Book Your Next Getaway - online registration will be available soon! Book a cabin for the weekend and enjoy these themed events taking place at camp throughout the year. Full-facility cabins include full kitchens and bathrooms. Bungalows include a refrigerator, microwave, picnic table, charcoal grill and access to a shared fire ring. Tent sites include picnic table, food-storage container, fire ring and access to shared refrigeration. Save 50% Sunday through Thursday nights. Discount Excludes: weddings, holidays and Family Camp Weekends. Only one discount applied per reservation. In the event that your plans change prior to camp we are available to assist you. Requests must be in writing and can be submitted online. If you cancel within one month of your reserved date, you will be charged the total fee. $50 per site is non-refundable if you cancel. Changes to your reservation made within one month of camp will be charged a $25 change fee.